Learn about academic programs and career pathways, scholarships, student services and more. Whether you want to transfer to a 4-year school, land a great new job or learn how to pay for college, TCC is here for you. 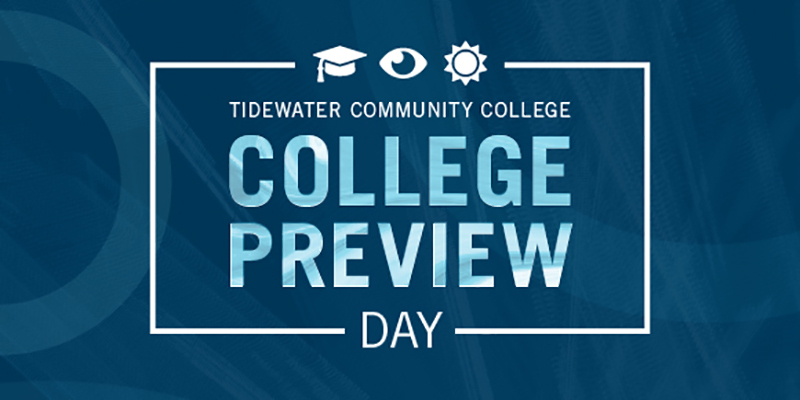 Discover why Tidewater Community College is the best place to earn your degree at College Preview Day on April 14. Students and their families will get a firsthand look at all TCC offers by meeting program representatives, attending information sessions and receiving one-on-one help. Information regarding every campus will be available. The event on the Chesapeake Campus, 1428 Cedar Road, is from 10 a.m. until 2 p.m. Registration is recommended by visiting www.tcc.edu/open. Summer classes begin May 21. Fall classes will start on Aug. 20. Questions? Call 757-822-1111 or email enroll@tcc.edu.